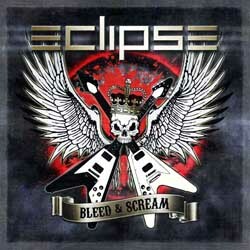 Eclipse released their first album ‘Are You Ready To Rock’ back in 2008, but I seem to have missed this album altogether. What I didn’t miss however was the W.E.T. project, in which both Erik Martensson as producer, and Magnus Hernriksson took part. Erik Martensson has also been writing songs for lots of other artists, like Toby Hitchcock, Jimi Jamison, Giant…. This maybe isn’t the best release of this year, but it’s not far off. The songs are catchy, the vocals are very good, and the music balances somewhere between hard rock à la Pretty Maids, and more AOR-esque music à la W.E.T.